search?q=6%2F10&amp;btnI=luckyAll Sega Saturns can be modified to play imported games from any region. Don't be afraid to open it up and have a look around, there's nothing to be scared of as long as you pay attention to what you're doing, don't force anything, and be keep all the screws! The basic theory is simple: There are jumpers on the Saturn mainboard which tell the OS what country it is running in. Changing these jumpers will make the Saturn believe it is running in another country, allowing you to run imported software. It will NOT work for copied software (Software pirates must die! ), nor will it translate your games from Japanese to English. There are four jumpers we are concerned with, #6, 7, 10 and 11. For an American Saturn the jumpers currently set are 10 and 7. To change it to Japanese mode, you must open these jumpers and close jumpers 11 and 6. Another way of looking at it is this: Jumpers 6 and 7 are really just +5v, GND and a point common to both jumpers. Typically this 'common' point is between both jumpers, but not always. 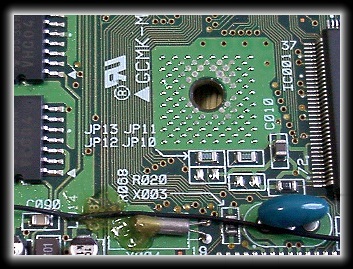 The common point of each jumper pair connects to a chip, and that's how the Saturn knows the region. +5v is one country, GND is another. Simple, right? Let's try another way: If the point common to both 6 + 7 is set to +5v, the Saturn thinks it's in Japan. If you set it to Ground, then it's in North America. The common point for 10 + 11 is Ground for Japan, and +5v for the US. Sega was nice to us - these jumpers are clearly labelled on all Saturn boards, and all you've got to is find them, and install your switch. 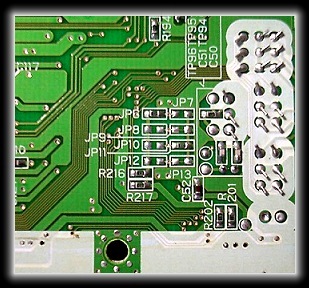 On all models you'll find the jumpers on the bottom of the PCB. On some they'll be on the bottom AND the top. On all of them the labels will be tiny and often hard to find, but keep looking. I assure you they are there. Please don't email me saying you can't find them - I don't care how long it takes, they are there and you're gonna find them on your own. It's time for the boy to become a man! It's not strictly necessary to know where the common points are if you're making a permanent change. 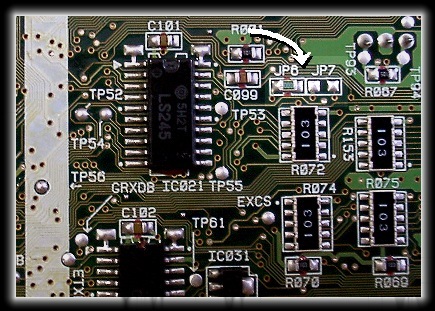 If you're installing a switch, you must connect the common point to the center leg of the switch, or you will connect +5V and GND, and then sparks fly (and Saturns die). This table lists the jumpers that should be CLOSED to set a certain region. Note: I (phreak97) Just modded an early Japanese saturn which had JP6 and JP7 reversed. It took me ages to figure out that it was set to south america instead of USA. You can tell if yours is reversed by confirming the jumper positions before you start. This console according to the jumper labels appeared to be set to “Do Not Use” but was actually set to Japan as it should have been. The following chart will help you identify the proper setting for the common point. If it says GND, connect the common point to Ground. If it says +5v, well, you get the idea. 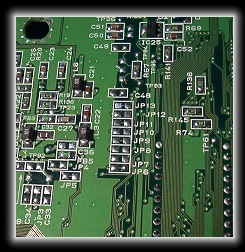 There are several different revisions of Saturn PCB. The jumpers moved around a lot. 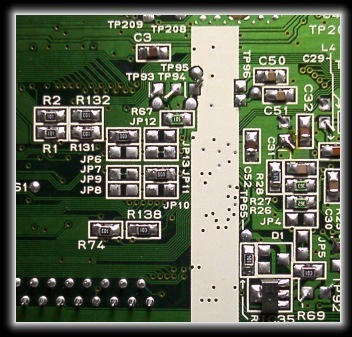 Often they're close to each other, but some PCBs have them spread out, and even on different sides of the PCB. Here are the photos of every known Saturn PCB, as well as the diagrams showing the locations for every common point (A, B, C or D) for each jumper pair. Well, almost. There is one set of images missing.